If you like eggs and bacon then this is it .A perfect sandwich . I cannot imagine that an egg sandwich can have soo much flavour in it. It was really late in the night and only my elder daughter and i were awake (as she has to study for her exams ). I was just lazing around reading a few recipes and enjoying some me time and then i read this recipe and i had to just had to make it. I was not ready to wait till morning .I literally ran to the kitchen dragging my daughter along and there we made the most delicious midnight snack. It was everything that Deb (of smitten kitchen) had said it would be, a perfect marriage between French bistro salad and American-style grab-and-go egg sandwich. 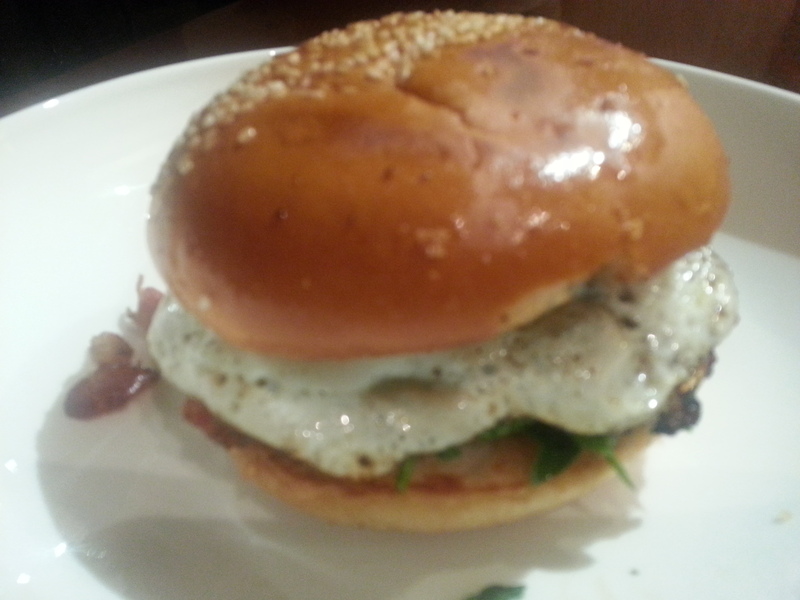 Perfectly fried sunny eggs,delicious spinach salad with bacon warm buns what more could i ask for……. Cut your buns horizontally with a serrated knife and put them in the toaster. Place spinach in a bowl. Cut the bacon into 1/4 -inch wide lardons .In a small non-stick frying pan ,cook bacon over medium heat until pieces are crisp and have rendered their fat .With a slotted spoon take out the bacon on a paper napkin. Add your finely chopped onion to the bacon fat and cook for one minute .Add the red wine vinegar and let it hiss and bubble for a few seconds ,remove from the heat and whisk in your mustard . Immediately pour the hot dressing over the spinach and toss in the bacon salt and pepper. Take the buns out of the toaster and divide spinach-bacon salad between each bottom bun, top it with blue cheese. Reheat the frying pan over moderate heat. Add a knob of butter and swirl it around so that it covers the bottom of the pan.Crack one egg into the pan and season with salt and pepper . 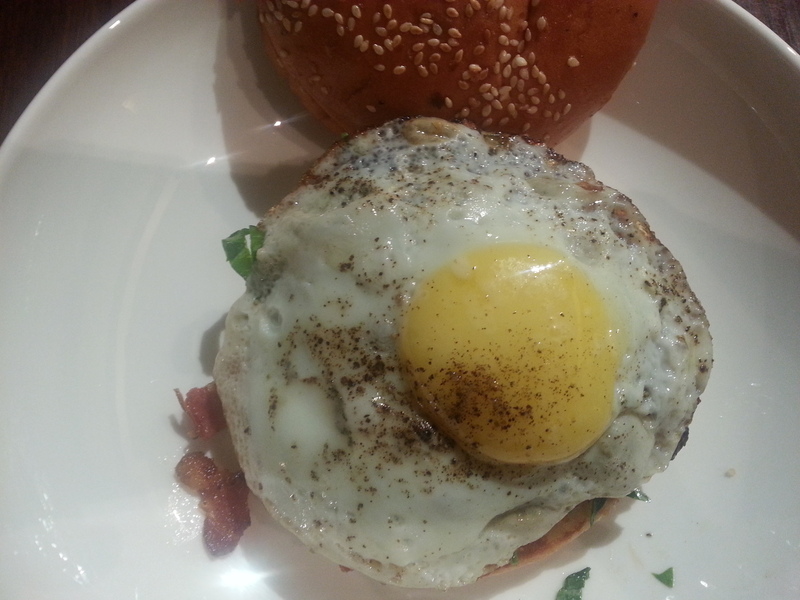 In a minute you will have your perfect fried egg.Remove the egg from the pan and place it on top of your spinach-bacon salad on the bun. Repeat with remaining egg. Bite in …………You just reached Heaven.